The Point Estate. The amenities of this Home are out matched by the property itself. The opportunity&apos;s to entertain are unlimited. This 4600 Sq Ft. Custom built home has views of the Mississippi River from every room. 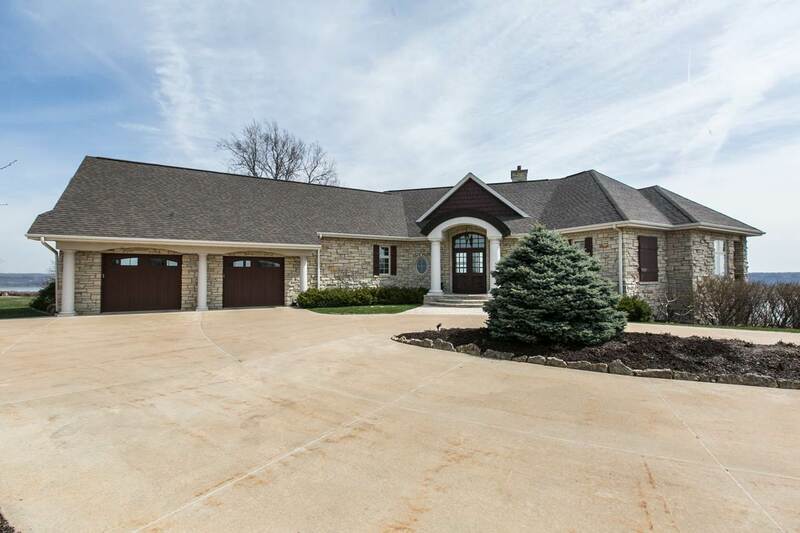 Just outside of Dubuque Iowa, located in a gated community with it&apos;s own private driveway. 180 degree views, Walk out main house, Full designer kitchen, internet sound system, Climate controlled wine cellar, Authentic imported English bar, Large out door deck with hot tub, fire pit, grand 3 seasons room. And then there&apos;s, " THE Barn" A 2 bedroom guest house with full kitchen, fire place, garage , it&apos;s own landscaping & gardens. Included is a stunning extra Lot over looking the Mighty Mississippi River all on a 18 acre estate.